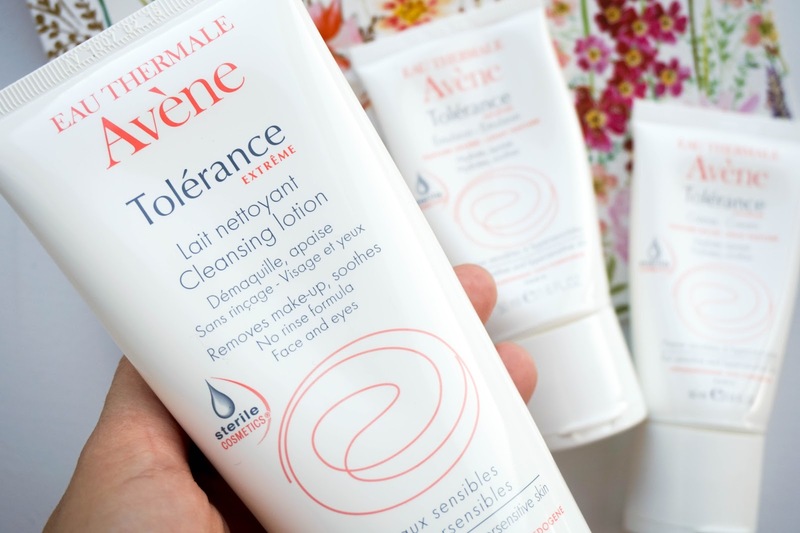 I was introduced to French pharmacy brand Avène just over a year ago and they have remained a firm favourite skincare brand, despite the countless of brands or products that have passed my skin. For almost a month now I have been exclusively testing out their newly re-launched Tolérance EXTRÊME* range, which has recently had a makeover and my skin is definitely enjoying this more simple skincare routine. 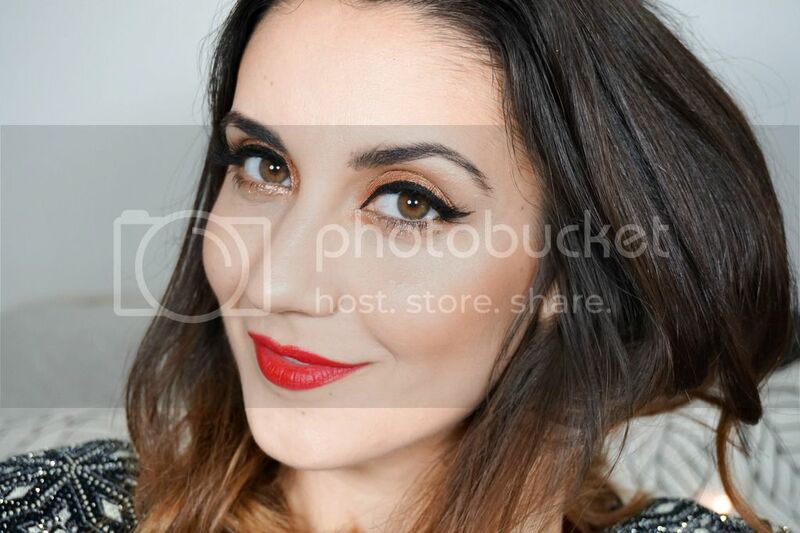 But before I share with you my final results and show you how my skin took to this Avène challenge, I wanted to introduce you to the new range and why it's not only amazing but innovative in the beauty world. 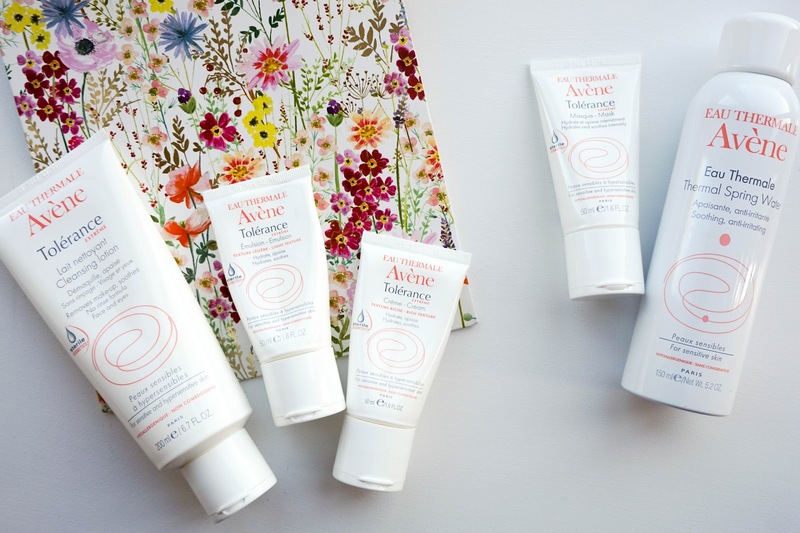 If you're not aware of Avène or haven't heard of them before, let me just tell you a little bit about the history behind this great skincare brand. It all started in a small village in the South of France, actually called Avène famous for its thermal spring known to have "healing water". This spring water has been the main active ingredient in all of the brand's products to this day. There's a reason why dermatologist around the world recommend Avène to their clients and that's because the brand as a whole has been specifically designed to cater sensitive, intolerant, atopic, blemish and allergy prone skin. Avène overall is Europe's leading dermo-cosmetic brand and is constantly improving their products, listening to their customers and making them better for our skin. This would explain why the Tolérance EXTRÊME range has re-formulated and re-launched this year, claiming to suit even the most hypersensitive skin types. The new range now promotes a D.E.F.I system, which stands for 'Device for Exclusive Formula Integrity'... this basically means that the formula is kept sterile without using any kind of preservatives. The new packaging is formulated is such a way that there is no empty space inside the tubes and furthermore it stops air from entering the containers also. This means that there's no room for contamination, which allows the brand to use less ingredients in their formulas, sticking to what is essential to our skin. The whole range now focuses on the fact that the products now contain only 7 ingredients or less, which I find pretty astounding. I certainly don't always concentrate on having an all natural routine since trying out new bands/products is essential as a blogger, but knowing that a brand can achieve such fantastic results through a range that uses so few ingredients, definitely makes me re-think my attitude towards my skincare in general. 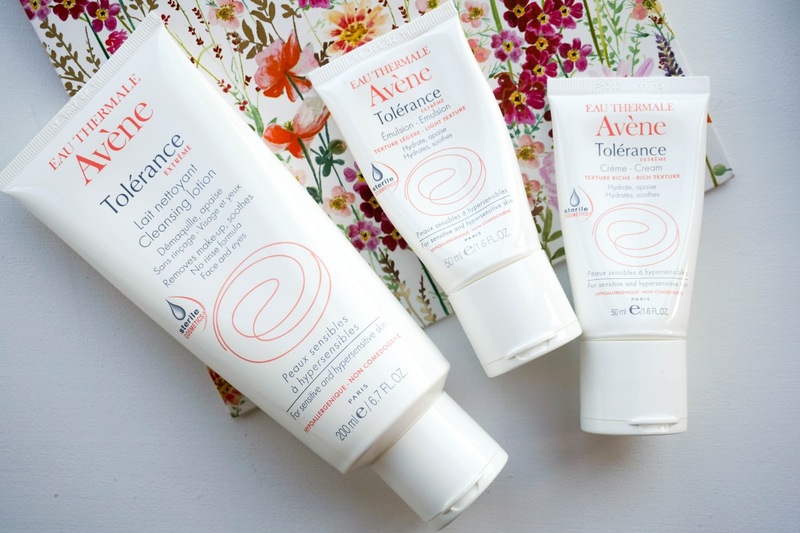 So as I mentioned above my skincare routine recently has been solely based around the newly improved Avène Tolérance EXTRÊME range and these 3 products have been my go to daily products. It definitely took some getting used to not having serums/oils and other added products in my routine, but overall I think my skin is definitely benefiting from having such a simple skincare regime. I think it's been more about changing my personal attitude towards using less products, whilst learning to cope without my evening ritual of lotions & potions as they say. On a daily basis my skincare routine consists of the Avène Tolérance EXTRÊME Cleansing Lotion, which I use both morning and evening to remove my makeup, not to mention cleanse my skin without stripping it of moisture. I still continue to use my usual micellar water to remove my eye makeup firstly, before massaging this creamy formula into my skin... which I then rinse with warm water, then use a soft flannel to wipe away any excess residue and pat dry my skin. Since it is formulated for sensitive skin, it feels very soothing on my skin and moisturising too, so I never get that tight feeling in my skin once I am finished rinsing it off. The current version that you can get your hands on at the moment actually has 8 ingredients, but the one I have been testing out is anew version with 7 ingredients, which will be released in January 2017. 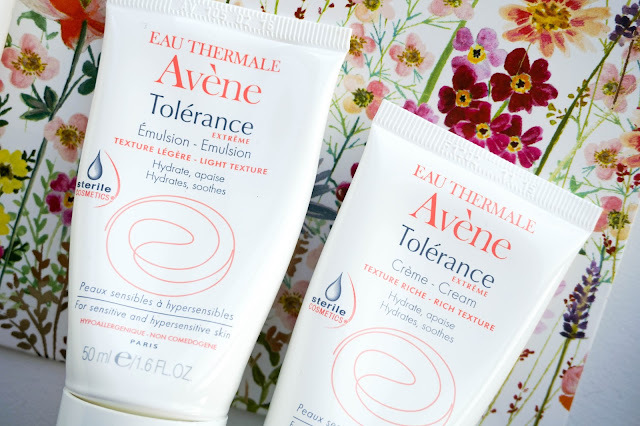 I then use one of the two moisturisers from the range, there is a light version Avène Tolerance EXTRÊME Emulsion that I use in the morning and a rich version Avène Tolerance EXTREME Cream, which is saved for my evening routine. Since my skin tends to be on the dry side, I was sure the light version wouldn't be enough to hydrate my skin, but I was wrong because despite its light texture, it soothes my skin exceptionally well. 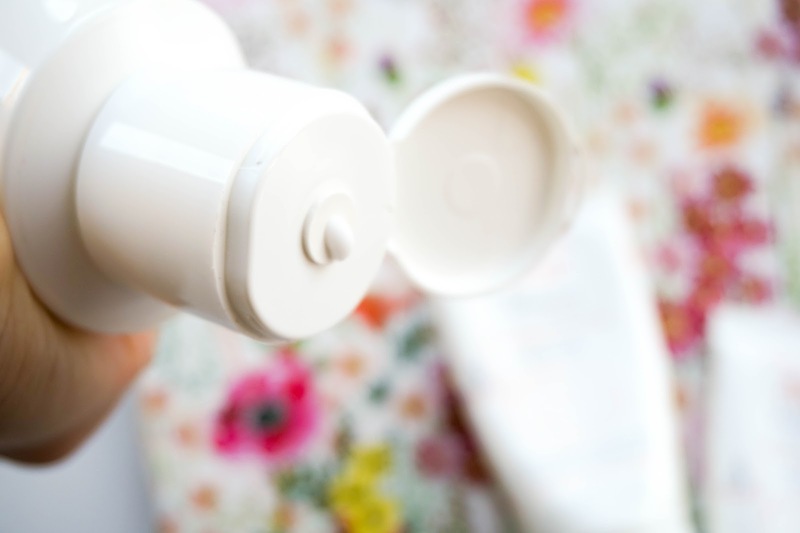 The light formula of this emulsion is perfect for day to day use, especially during the summer when we experience more humidity then usual (let's face it this summer has been all about humid days, with the sun making rare appearance now and then). My skin absorbs this emulsion instantly and my skin is ready for makeup straight away, not that I have been wearing much makeup anyway since I am quite confident in my bare skin at the moment. As I mentioned above I save the Avène Tolerance EXTRÊME Cream for the evenings since it has more of a rich texture and it's basically replaced my night time facial oils. As you know I am a huge fan of using oils for my skin in the evening, so I do miss this skincare ritual. However this rich cream moisturises and nourishes my skin perfectly, plus it means that there's no slagging off from my other half for going to bed with an oily face. It soothes my skin instantly like the rest of the range and I wake up with super fresh & smooth skin in the morning. Even though they have been my go to daily products, I have a few more additions to my skincare routine on a more weekly basis. 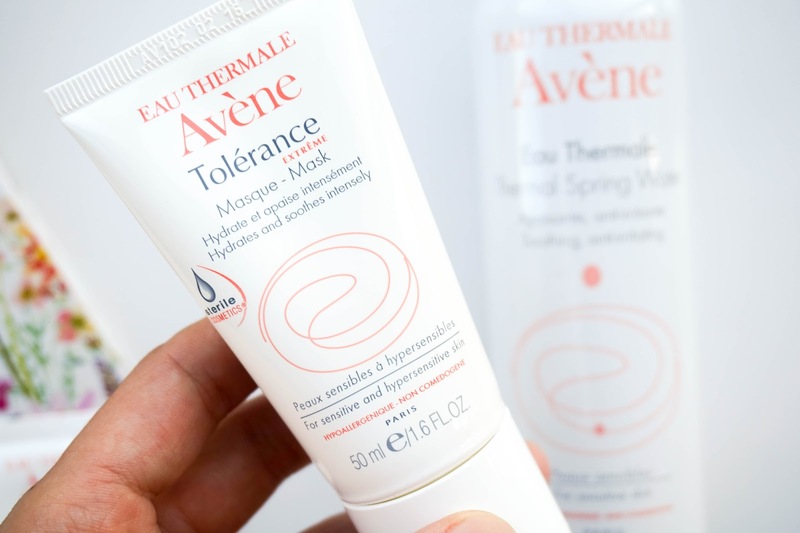 I have also incorporated the Avène Tolerance EXTRÊME Mask to intensely hydrate & soothe my skin within 5 minutes. I tend to keep the mask on my skin for up to 15 minutes because I always like to leave my masks on for that bit longer and I'm quite lazy too, so it takes a bit of building up to peel myself away from the couch. The brand however claim that 5 minutes is all you need to give your skin a boost of hydration, so it's perfect for busy bees. I like to use the mask when my skin needs a bit of TLC or after I have exfoliated, because it instantly soothes and leaves my skin feeling plumped. Speaking of exfoliation that's where I noticed that the routine lacked a little bit, as I definitely couldn't do without exfoliating on a regular basis (once or twice a week). So I decided to continue using my usual exfoliator as I would regularly, because I find that it keeps my skin feeling refreshed and prepped for the rest of my skincare routine. 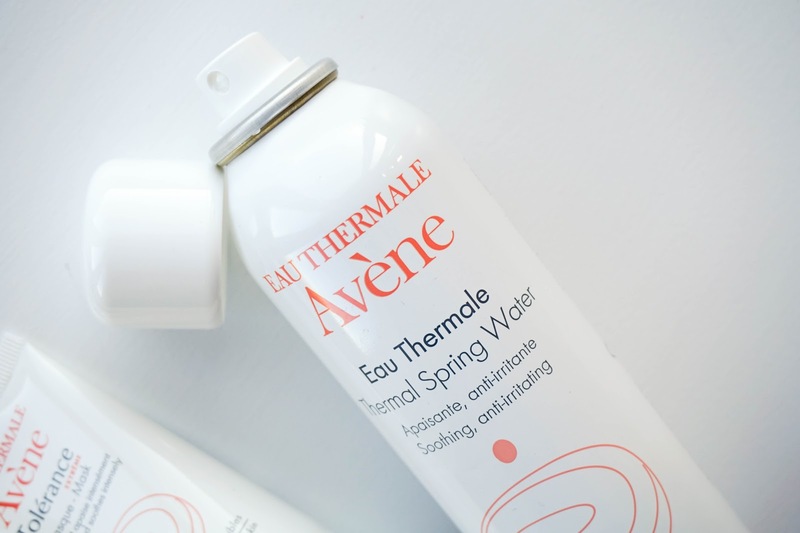 I also like to use the Avène Thermal Spring Water Spray on a regular basis to keep my skin feeling cool and refreshed, which is such a lovely product to use especially during summer. A spritz of this is all you need to keep you feeling fresh and top tip is to keep it in your fridge for an instant hit of coolness. So far I have been so impressed with the newly improved Tolerance EXTRÊME range, from the sterile packaging to the formulas, to how my skin is feeling overall so far and it's still early days. I will continue to use the products for the next couple of weeks and update you all on my final results when this exclusive Avene challenge ends. Until then I'd love to hear your thoughts on the newly re-formulated and improved range? Is it something your skin could benefit from?